17th Athens Technopolis Jazz Festival. 23-28 May in our tent on Technopolis’ yard. We will present you our new designs in leather sandals and a selective collection of handbags along with our summer jewelry collection. 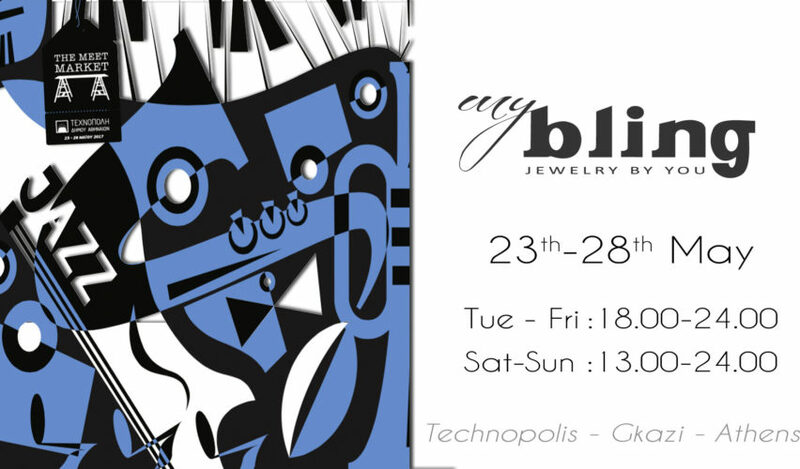 Six whole days of our beloved Μeet Market in Technopolis Athens along with the 17ο Athens Technopolis Jazz Festival! It will be the biggest Meet Market in size and duration so far! Κeep it local! Keep it Greek!